From the moment that you walk through the doors of our Peachtree City, GA Bar and Grill, you will feel at home. We offer a warm, fun and inviting atmosphere that can't be replicated. Whether you are looking for a place to catch the big game of the day, let your hair down and dance the night away after a long week or work or in the mood for quality food and companionship, Tavern on 74 is the place where you need to be! We are conveniently located on Highway 74 in Peachtree City and open late seven days a week. There is always something happening at Tavern on 74, come join us! Tavern on 74 offers a little something for everyone! We have the best unbeatable weekend parties with the areas Top DJ's and Local Bands. We also are proud to host a monthly Canvas By U class where you can transform yourself into an artist. Weekly Specials, Happy Hour and more round out an unlimited option of events at Tavern. We hope to see you soon! 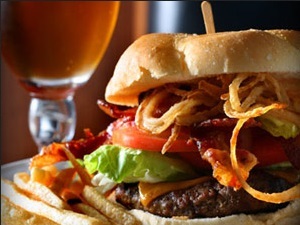 When you come out to Tavern on 74, we suggest you come hungry and ready for some of the areas top menu selections. Our talented kitchen team will not leave you dissapointed. We also have weekly themes such as Soul Food Sunday, Taco Tuesday and other great menu specials throughout the week. Great times start with great food. We have you covered! 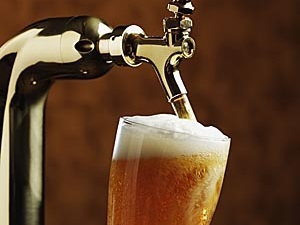 Daily drink and happy hour specials are served up from our full service bar by our friendly staff. 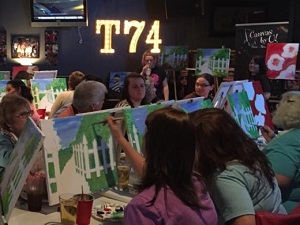 Tavern on 74 is called the jewel of Peachtree City and is the best place to catch a sports game, knock back a few shots with friends or unwind with a cold beer or glass of wine. Come check out our extensive selection of wine, craft beers, liquor and more!